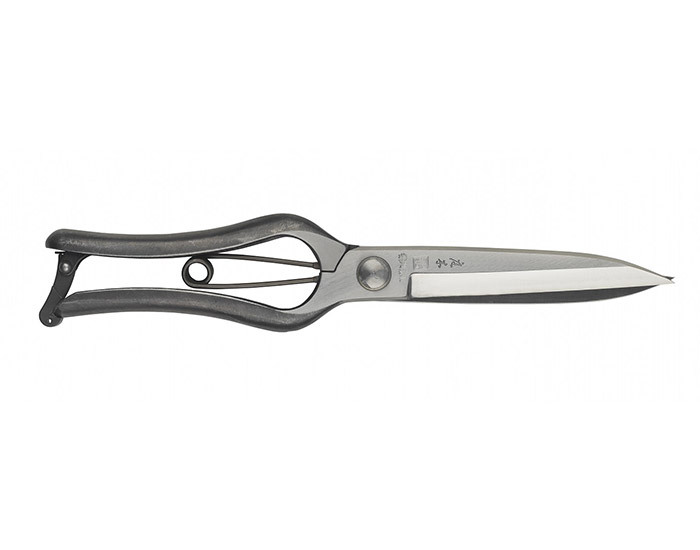 Hard wearing, heavy duty Niwaki clippers for box clipping, topiary and other jobs in the garden where double handed shears are too large or clumsy. Hand forged in Hyogo, from S58C carbon steel, with a solid, chunky catch at the bottom and a robust spring. The tips cross over, to allow for years and years of use and sharpening. How do they compare with Tobisho Topiary Clippers? Same forging techniques and quality, but with a slightly heavier, tougher feel to them - equally suited to box and yew topiary as well as tougher, cruder jobs.